Here is the third set of features for the "All Things Kitchen" Talent Scouting Party! 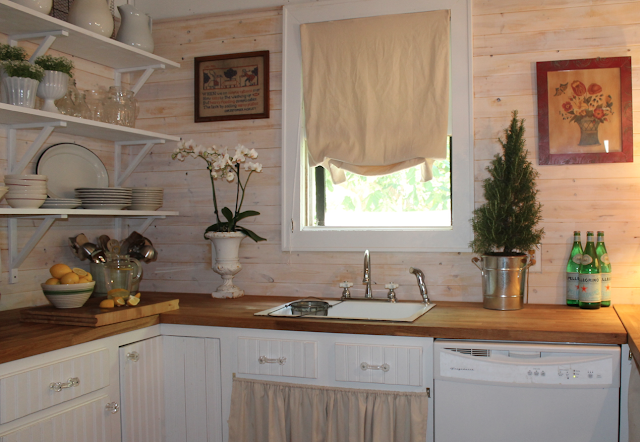 The first set showcased 10 Kitchen Details to Obsess Over. The second included 10 Salvaged, Pallet & DIY Wood Projects. This set is all about creative window treatments. 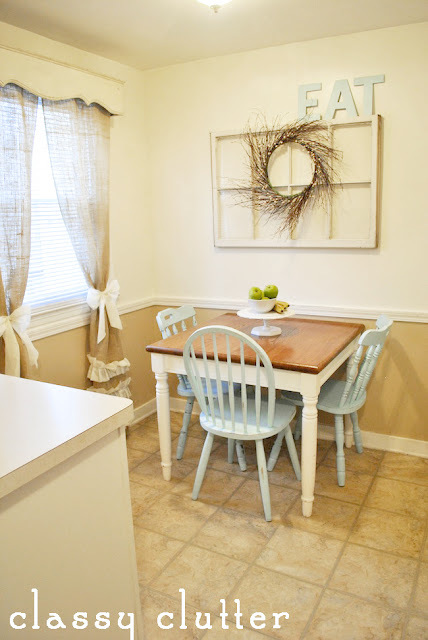 We're talking burlap, no sew, tutorials, awnings, shutters, and even tea cups! Enjoy the inspiration! 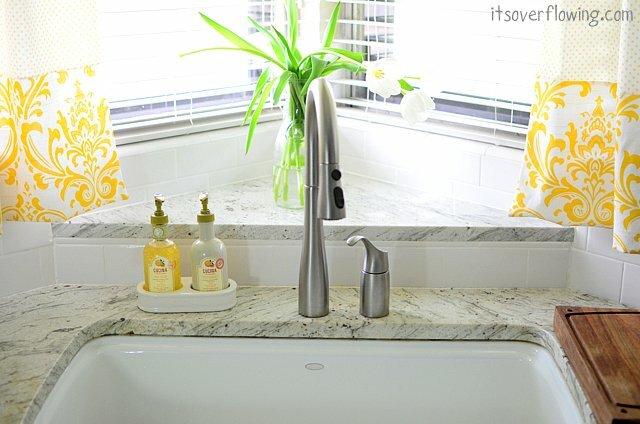 KITCHEN PROJECTS TO SHOW OFF? Only 6 days left to link up! The Talent Scouting Party @WhisperWood Cottage is scouting for talented bloggers who would like to be published in Cottages & Bungalows magazine! 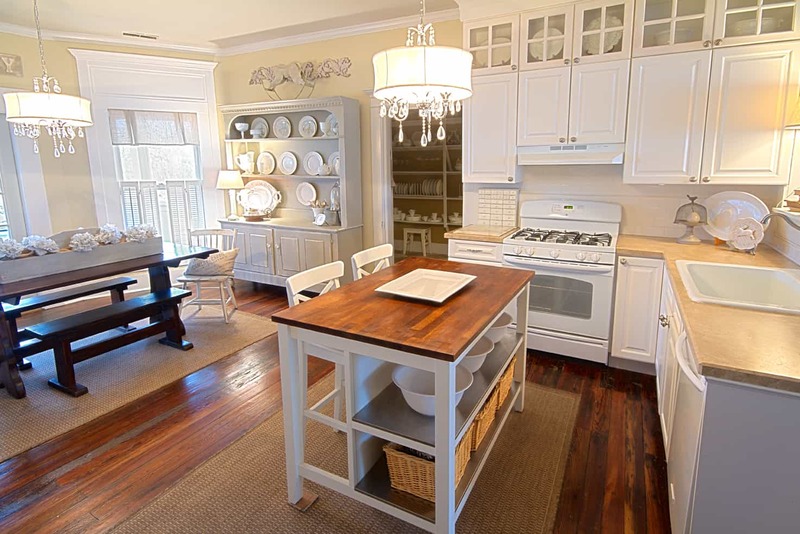 Current Scouting Event: All Things Kitchen! 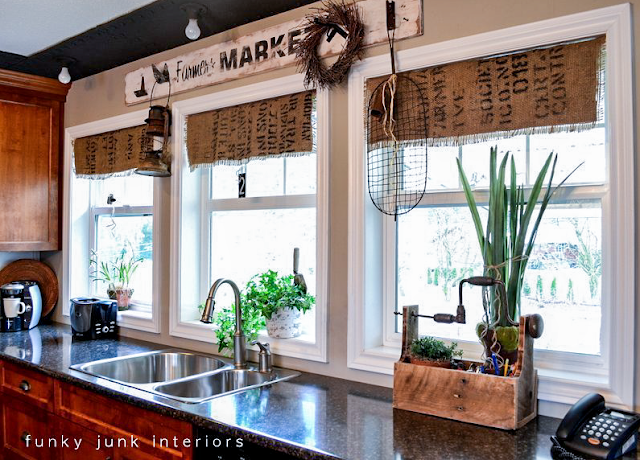 "All Things Kitchen" means whole kitchens, kitchen makeovers, kitchen islands, kitchen furniture, kitchen decor, kitchen DIY, kitchen organization, kitchen solutions, or any kitchen project (EXCEPT recipes or food-related projects). Projects can be newly or previously completed. If you linked up a kitchen project to the last Talent Scouting Party, you can link it up again as long as it fits with the kitchen theme. Only 6 days left! Linky open through April 30! Click here to check out the projects and/or link up your own for a chance to win a feature in Cottages & Bungalows Magazine! More features coming up, so please stay tuned here at the blog! If you want, you can also follow along on the WhisperWood Cottage Facebook page. I really miss having a kitchen window now that we are in a condo! I'll just enjoy everyone else's though! Oh my cuteness in them all. Thanks so much for the feature too. This has been a lot of fun for me bopping around and seeing all the wonderful kitchens out here. So many talents. I really love the awnings too. That's it! 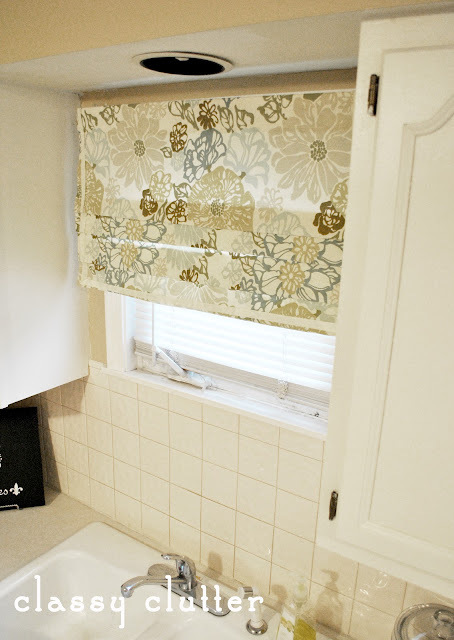 I'm taking down the lace valance above my sink and hanging up tea cups like DebbieDoo's or white ware. Those are awesome. I don't have to do the burlap valances because I already copied those from Funky Junk, and the way Thistlewood created her wood surround is already on my to do list. Excellent ideas. lots of inspiration.....love it all! Wow! Some wonderful ideas...love the girly burlap drapes. What interesting ideas! Great pics! Thanks so much for the feature - can't wait to get my button on! Thanks for featuring my kitchen, what a lovely surprise! I love the ironstone pcs hung by ribbon. Lots of great ideas here. So happy to be featured here! I love your site! I am sorry to say that I am technically stumped - I am unable to fit the width of your button on my sidebar - any advice? Thanks! Sorry, Amy...same problem here! I can't seem to change the size in the code.